Liverpool quartet Ninetails promised so much with the mesmeric guitar work and atmospheric post-rock of their 2012 debut ‘Slept But Did Not Sleep’. However, since then the group have had to survive the departure of their frontman/guitarist Ed Black; a difficult obstacle to overcome for any band, let alone such a fledgling act. Yet Ninetails have not just soldiered on but broadened their horizons even further. The fact that their new EP has been released on Pond Life, which has already provided a home to Talk Talk and Mark Hollis reissues in recent times, suggests that their confidence is shared by label owner and former Talk Talk boss Keith Aspden too. Beginning with a lion’s roar, ‘Radiant Hex’ is a curious assembly of brass, female soul/dance samples and the trio’s own half-spoken/half-chanted vocals. If it sounds like an exorcism in musical form then it’s job done because that’s what the band actually intended. ‘An Aria’ is attached to a more recognisable melody, where washes of dreampop, choral voices and pastorally-flavoured guitar textures hit on a blissed-out vibe but the band’s restless spirit, characterised by regular ebbs and flows, ensures the listener never quite relaxes. Indeed, just when you think the song has ended it begins again. Thanks largely to its glistening white funk-flavoured guitars and it’s nocturnal aura, ‘O For Two’ is the closest we get to their debut EP and possibly the most soulful moment. After this relative period of calm, the second half of the EP opens with samples of church bells which provides an all too rare moment of clarity as ‘Quiet Confidence/Pure Utopian Moment’ veers between dissipating vapour trails and spine-tingling, almost hymnal moments. The defiantly experimental ‘Hopelessly Devoted’ contains some lovely passages of mournful trumpet and then goes all James Blake on us with incongruous sequences of vocal distortion (apparently using a sample from Andre 3000 no less). Finally, ‘Sinn Djinn’ arguably bears the closest resemblance to Talk Talk but only because it sounds like they’ve been recorded backwards and remixed by My Bloody Valentine. 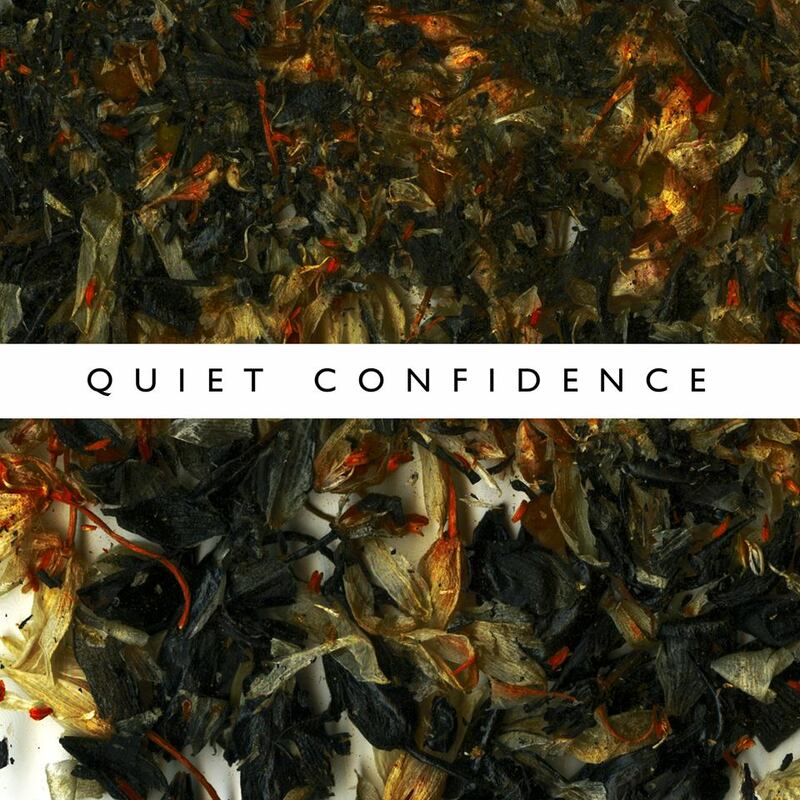 When all’s said and done, ‘Quiet Confidence’ is a record of great moments which initially seems like too many disparate formed together in the hope something sticks. The persistently shifting soundscapes mean the songs are never allowed to settle and the effect is part religious experience, part prog-jazz, part late night soul, part future pop. However, eventually the ingenious hooks and inspired samples begin to make perfect sense and the trio have ended up crafting their own particularly unique and magical experience. Heaven knows what mind-bending gems their first album will generate, though.